The Revolabs Hybrid HD Directional Tabletop Microphone brings all the advantages of both wired and wireless microphone solutions to the conference table. It is suitable for environments requiring a permanent and powered audio solution. With the wired Hybrid microphone permanently located on the conference table, you get maximized audio pick up, eliminating the need of any guesswork in placing the microphone. No matter how long a meeting may last, this Hybrid microphone will be powered. However, if it's the freedom and flexibility of a wireless solution users are after, the Hybrid HD microphone can be easily removed from the power source and placed wherever required on the table. If the microphone loses its charge for having been disconnected from the power source, simply connect it to one of the power sources around the table and continue the meeting. Offering a plug-and-play functionality, the Revolabs Hybrid HD microphone simplifies administration and installation of audio systems in any room. Power is often readily available at the conference room table, and the wireless audio connection ensures that you do not have to run a new microphone cable. As it functions with power as well as wirelessly, the Hybrid DirectionalTabletop Microphone provides ease of use for unfamiliar users. There is no need to set up the microphone to begin the meeting or connect it to a charger tray after the meeting has concluded. Designed specifically for Revolabs HD wireless audio systems, the Hybrid HD microphone incorporates Designed for Speech HD audio technology, providing crystal-clear audio so that you can hear every word. The integrated RF Armor technology makes audio impervious to GSM noise from cell phones, avoiding unwanted audio interference. In addition, to keep meetings private, the microphone features secure 128-bit encryption technology. 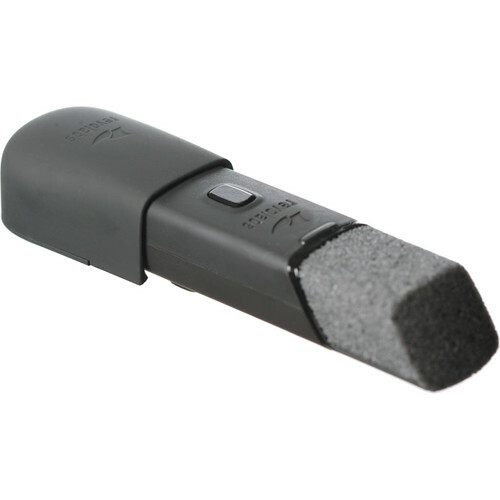 With a reduced audio pickup of 135°, this microphone can be placed in front of a panel or along a larger table to pick up the speech of 1 to 3 participants in a meeting. The Hybrid Directional Tabletop Microphone comes complete with a power supply.